Crazy things we hear and see everyday. 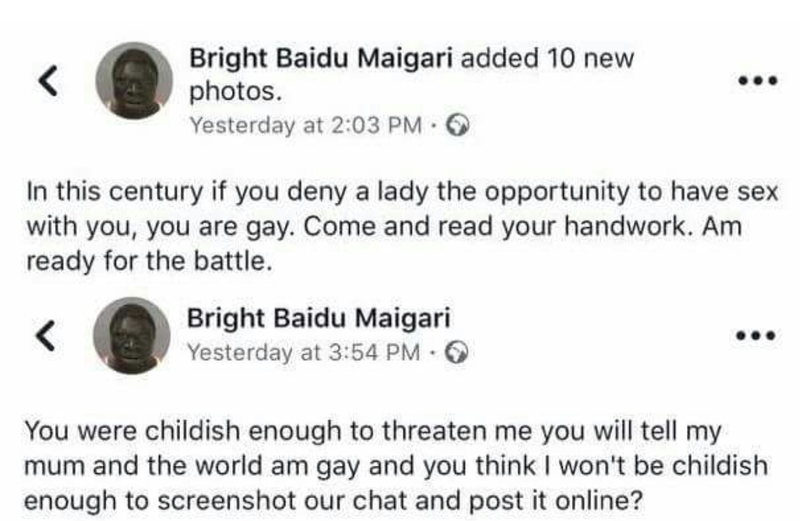 So, a Nigerian guy was threatened by a lady, that she would tell the whole world he is gay simply because he refused to have s*x with her. 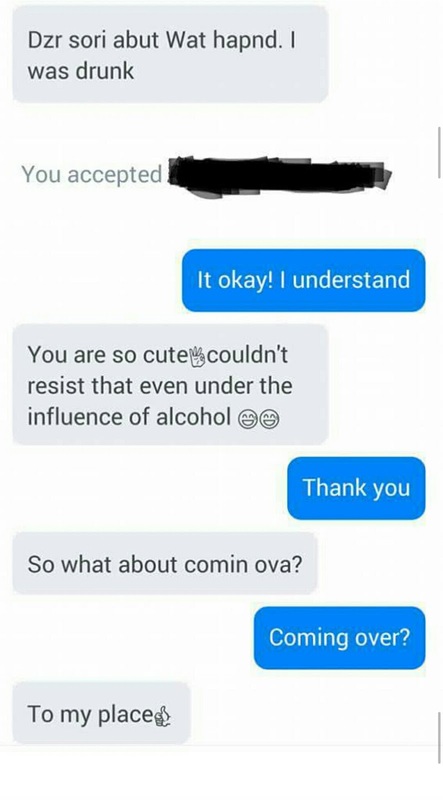 Okay o. 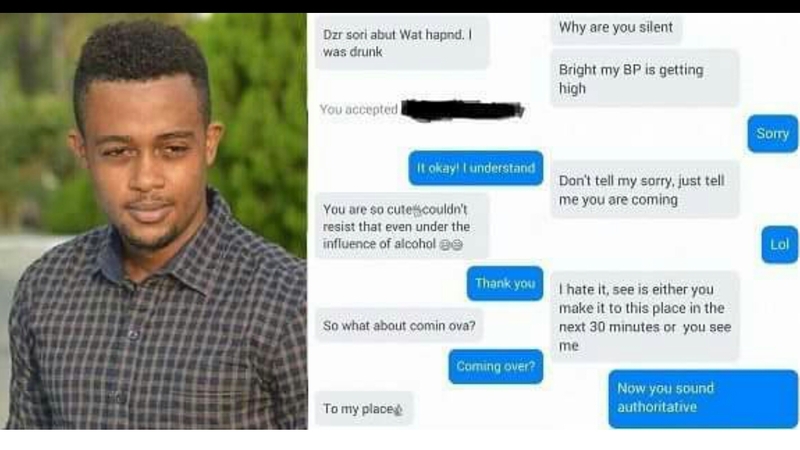 So, a Nigerian guy refused to sleep with a lady, and she’s threatening to tell the whole world that he is gay. Now, the young good-looking man identified on Facebook as, “Bright Baidu Maigari”, decided to expose her first before she ruins his name. He shared screenshots of the conversation he had with the lady in question, though he didn’t reveal her identity.